Mecanotubo, a construction company specialized in bridge construction with more than 70 years of experience, has designed and produced its own Movable Scaffolding Systems (MSS). Currently, Mecanotubo is willing to sell two of its MSS, one MSS type C-35 and the other type A-60. 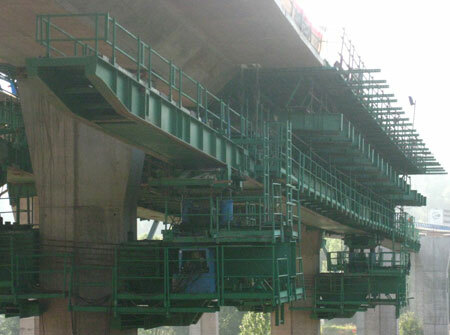 These MSS have been successfully used in important viaducts. The design of both MSS is based on proven dual below the deck girder with transverse beams supporting the formwork. Principal girders are supported by brackets that are placed in the piers during the advance movement. During the concreting phase, principal beams are supported by a rear-hanging beam and by the brackets placed in the coming pier whose span is concreting. This new generation of MSS is extremely safe and easy to use, both for assembly and disassembling, as for the advancement and concreting phase. 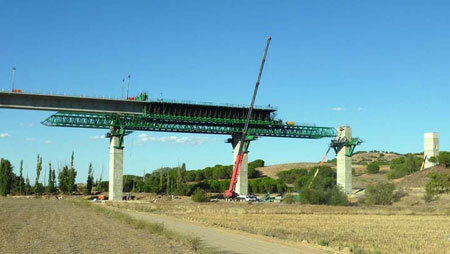 The system is also simple to adapt to different bridges span length. In addition, Mecanotubo has others MSS for rental. In this rental, Mecanotubo can make all necessary operations for the bridge construction and advise the best system to build the bridge.